ATV performance parts upgrades start with tires. This performance parts guide will stick to ATV parts that can be easily installed by most owners with basic mechanical skill and tools. We looked for parts that improve the usability of your ATV more than power or speed. Our goal is to give you a choice of ATV performance parts that can be used to make your 4 wheeler better at what you want to do with it. It's good to remember that all components are designed to work within systems on your ATV. Getting too radical with modifications can disrupt the entire system and cause more problems. Over the years we've learned it's usually best to keep ATVs as close to stock as possible. The parts categories are divided into groups that we think will improve performance the most for the cost. Beadlock wheels work with low pressure tires. 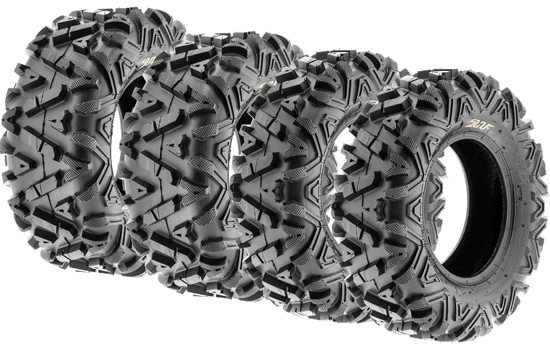 ATV tires that are designed for the kind of riding you do and the type of terrain you do it on are one of the best ways to improve performance. But there are some general tips to remember. Tires that are larger than stock may require new wheels. Taller tires will reduce acceleration and reduce cornering speed. Larger tires may need wheels with more offset to avoid rubbing. Heavier tires will hurt performance. Changing from heavier steel wheels to lighter aluminum will improve overall performance. Running tires with low air pressure may require beadlock wheels. 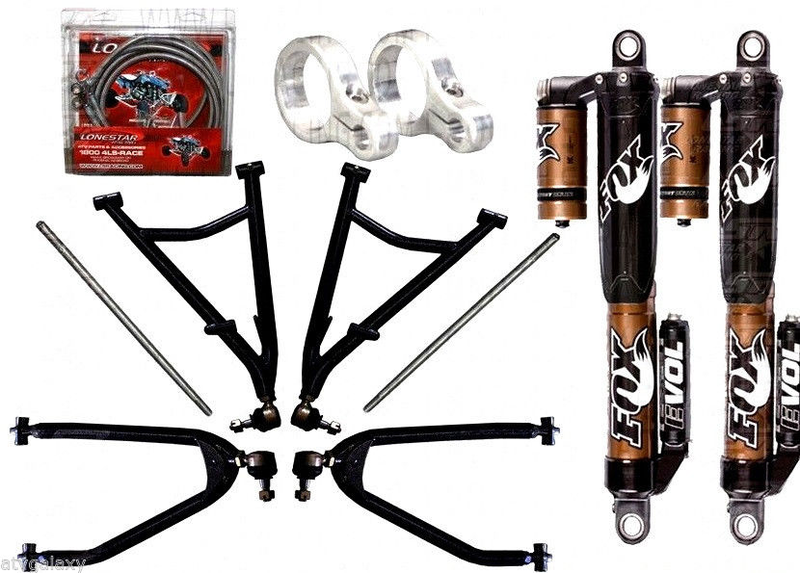 Long travel suspension kits include control arms and shock/spring units. Lift kit - the most common reason for changing suspension components is more ground clearance and/or a desire to use larger wheels and tires. Most lift kits will include longer and sturdier control arms to maintain correct suspension geometry, and longer shock/spring units to allow for the longer travel. Ignition module and air filter kit work together to improve performance. Filter for conditions - foam is best for dust. K and N style washable for mud or conditions with very little dust. Lighter weight and more performance but with the penalty of making more noise. Electronics - we usually recommend against making changes to factory settings for ignition and fuel. These are normally needed if there have been extensive engine modifications. We include them here just so you know what they are and their purpose. 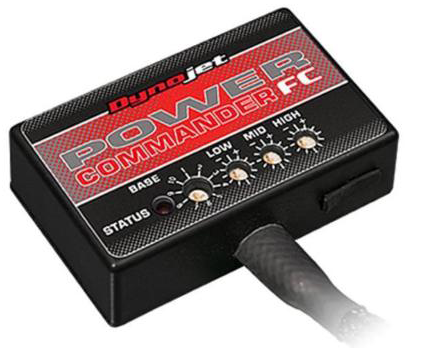 Ignition and Fuel controller - allows you to adjust ignition and fuel delivery to your riding style and conditions. 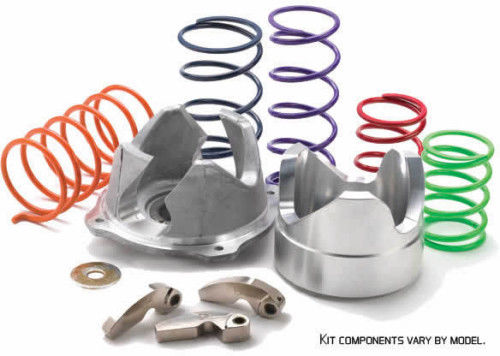 Clutch kits - provide a way to change engagement and lockup rpm to fit your riding style. 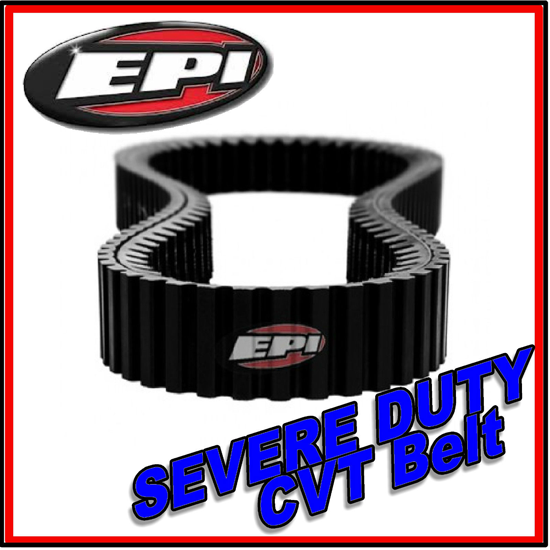 The quicker lockup can be tougher on belts which could require the use of a heavy duty high performance belt. Axles - The use of long travel suspension will require longer axles. Longer axles will need to be heavier duty to maintain strength across the extra length. 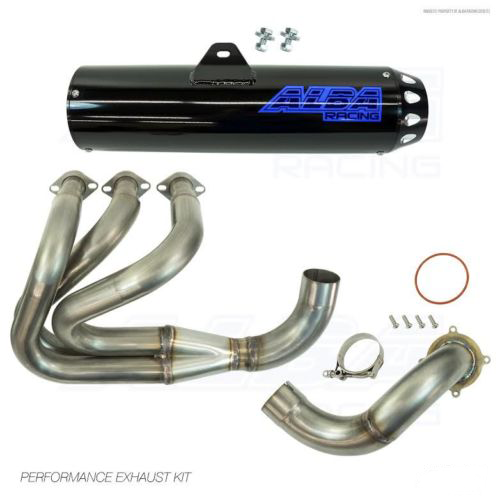 This is what we mean when we talk about ATV performance parts being components in a system. A change in one part can mean every part in a system needs to be changed or modified. Clutch kits change acceleration of your ATV. Racks - Not regarded as ATV performance parts by some, but racks and rack extensions can improve the load carrying performance of your ATV. Adding a front or rear rack if your 4 wheeler didn't come with one can increase cargo capacity dramatically. Adding a roof rack or a rack above the bed can give you a place to store lighter, bulkier items, preserving the lower racks or bed for heavier or larger items. Many stock racks are flat and made of plastics with limited tie down points. Rack extensions can provide support for larger loads, as well as unlimited hooking points for tie downs. Mounts - like racks, not usually regarded as ATV performance parts. The many mounts available allow you to taper the use of your ATV for specific purposes, improving its' performance for those uses. Examples would be gun, bow, or fishing rod mounts for hunting and fishing. A fire department with fire and rescue equipment mounts on an ATV. A commercial grounds maintenance business with mounts for lawn and garden tools. Camera mounts for security patrols. Mounts are made for many kinds of tools and equipment that can vastly improve the ability of an ATV or UTV to perform specific tasks. 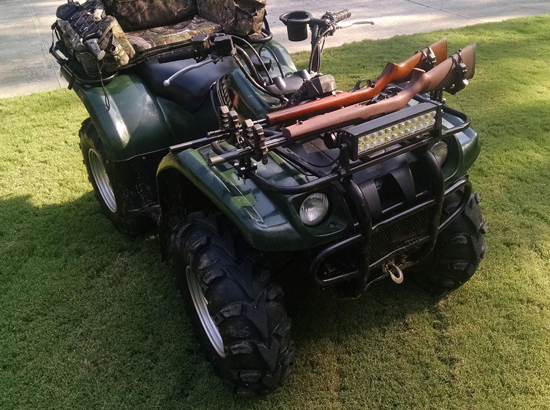 Tires, LED lights, racks, and gun mounts can all improve the way your ATV works for you. If you plan on any kind of night driving, supplemental lighting will be high an any ATV performance parts list. Even if you don't plan on it, you can find yourself having to drive after dark as a result of having some sort of problem. Additional lighting will be a need for many of us. LED Light bars - the most popular optional lighting. 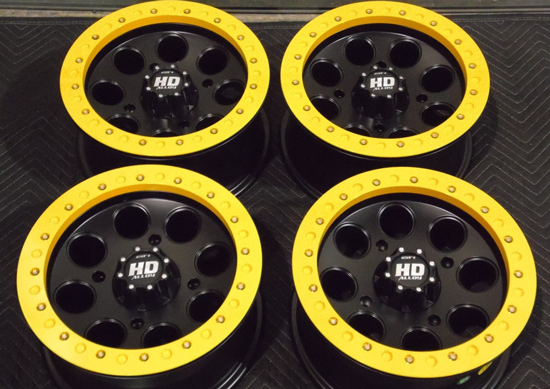 These come in a variety of sizes which can be mounted in many different positions on an ATV or UTV. Usually the smaller units will be on the front bumper and the wider, more powerful units will be roof mounted. Depending on your needs, tilting side and rear facing spotlights might be of interest. Interior lighting kits are now available to improve your ability to see inside a UTV. At the very least, we like to carry a 12v spotlight that can be quickly plugged into an auxiliary outlet. 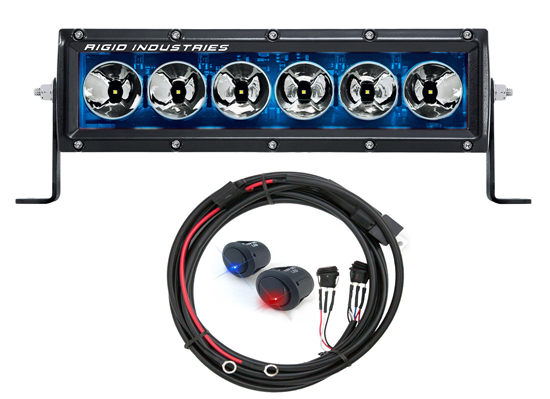 LED light bar kit can dramatically improve low light vision. So that's our take on performance parts. The truth is most of the four wheelers from brand name companies perform very well stock. That's why we recommend concentrating on improving the machine for your personal needs. Let us know what you think in the comment section below.